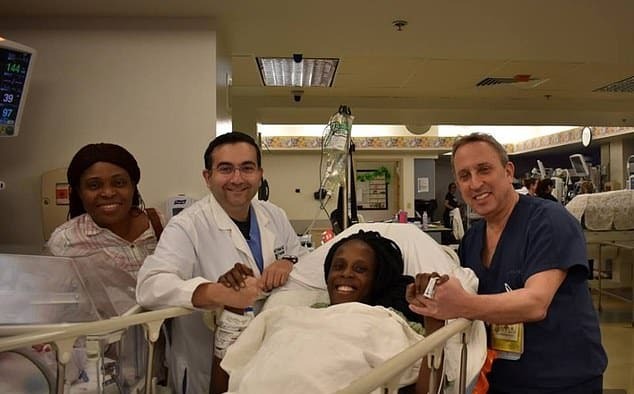 A woman from the United States has delivered six children, that is, a set of sextuplets in a span of just nine minutes. Many could not help but be happy for the woman even as they took to wishing her lots and lots of goodwill. Thelma Chiaka who resides in Houston gave birth to four sons and two daughters on Sunday, March 17. Even more, she had her bundles of joy in the space of just nine minutes. According to Daily Mail, hospital staff members asserted that the kids are in the advanced neonatal intensive care unit where they are in stable condition. The kids were born in the wee hours of the morning between 4.50am and 4.59am. Quite a time to put to bed! Thelma Chiaka who resides in Houston gave birth to four boys and two daughters on Sunday, March 17. 28-year-old Evelyn Namukhula from Kakamega County delivered five kids through Cesarean section at Kakamega General Hospital. The young mum who gave birth to three girls and two boys had four kids who reside with their father Herbert Nabwire in Sikokhe village, Navakholo constituency.